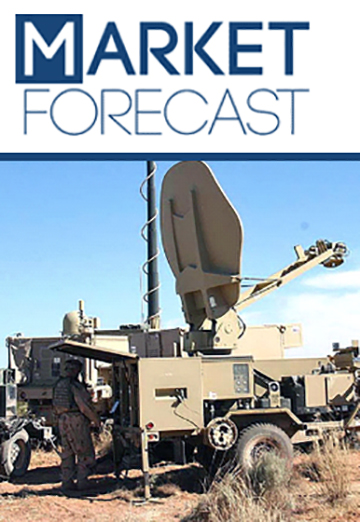 The nation's military communications efforts have shifted toward better situational awareness, which was previously skewed toward asset capability — the combination of inputs from various forces helps headquarters take tactical decisions based on data driven inputs. Military communication also focuses on ear marking friendlies apart from marking enemy positions. The IFF (Identification, Friend or Foe) systems help in ID'ing the friendlies, thereby reducing friendly fire situations. The communications have evolved from runners to SATCOM which has eased the transfer of information to a faster and more reliable form. However, supporting this communication infrastructure for defense applications was becoming a costly challenge. Currently, defense departments across major countries are in the process of increasing the COTS (Commercial-Off-The-Shelf) adoption for defense applications. The estimate is that more than 70 percent of the defense communication was through commercial bandwidth. The commercial satellite companies are also ensuring that commercial satellites meet Military standards to cater to the needs of defense. The military communications market is expected to grow at a CAGR of around 4 percent during the forecast period and reach approximately $41 billion by 2027. The key drivers for the market include the soldier modernization program, need for increased situational awareness and the NATO driven program upgrades. The key challenge is the lack of direct benefit to better military communication systems, unlike tangible military assets that can be exhibited with specific requirements. The average spending on military communications was around 1-2 percent of total military budgets during the 2012-2017 period. The military communications market is poised to grow during the next few years; however, there are certain market segments that are expected to experience decrease in spending. The market intelligence report Global Military Communications – Market and Technology Forecast to 2027 covers the key technologies, current market overview, a market analysis, and a forecast to 2027. The market analysis chapter covers the key market dynamics that are expected to shape the market during the forecast period, the PEST analysis and the Porter’s five forces (Porter's five forces model is an analysis tool that uses five industry forces to determine the intensity of competition in an industry and its profitability level). The country analysis chapter covers around 21 country level programs which is further segmented, based on the three forces. The country analysis also covers the future trends based on historical spending. The market forecast chapter covers three main segments which are — Region wise, Equipment Wise and Sub System wise — which are then further sub-segmented. The report features more than 143 tables and more than 200 figures.